Al-Monitor – After nearly four decades, a group of Iranian women officially entered the iconic Azadi Stadium in the capital Tehran to watch a soccer friendly between Iran and Bolivia. The decision was made after a security body affiliated with the Interior Ministry approved a request from the country’s soccer federation. But only 150 women were granted the historic chance to attend the game, sparking widespread debate among Iranians. In the past few years, many young Iranian women have defied the ban on watching men’s soccer by disguising themselves in male clothing. In some cases, such risky moves have led to arrests. 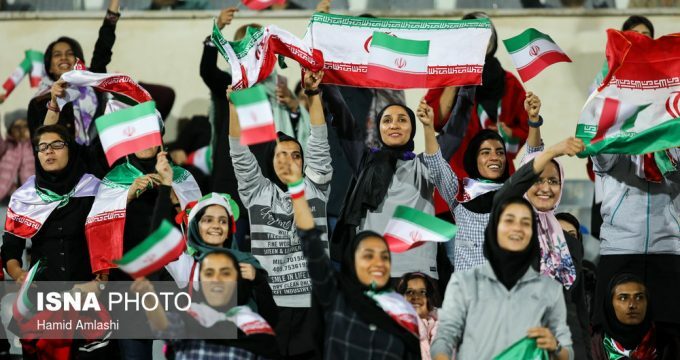 On Oct. 16, however, a small group of 150 women, mostly from the female sports community, were allowed to enter Azadi stadium where they were given special entryways and bathrooms. Hours ahead of the match, selfies of excited female fans found their way onto social media networks. One photo after the match showed empty stadium seats that were cleaned up by the female spectators.